Family time over the holidays is the perfect time to go through the mountains of old printed photos, videos or slides and reminisce with loved ones. It will be so fun to sit with past generations and have them share the stories that go along with all of those old photos. Find a comfy spot with a lot of space, refreshments and bring out those boxes that have been sitting in the attic for decades. You may be there awhile. This is also the perfect time to think about how to preserve those old memories digitally so they aren’t lost for future generations. The holidays are the perfect opportunity to have a picture party reliving memories and making new ones. 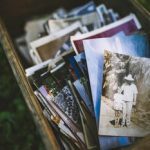 ScanMyPhotos offers many services to help you preserve those wonderful old photos, slides, and videos digitally with your hectic schedule in mind. You can preserve a lifetime of memories for future generations with our easy and affordable photo, slide and negative scanning services. The process could not be any easier. This is also the perfect way to make sure that everyone has a copy of your family’s history, not just one person with all the boxes in the attic. Our team of professionals will protect your photos from aging by scanning them into digital format, preserving them on archival DVDs ensuring your family can enjoy them for years to come. Whether you have 35mm, APS or 120mm negatives, our technicians will hand-scan each negative, make adjustments for optimum color and density and save your family’s memories and milestones for future generations. We will carefully hand-scan and adjust each slide to provide you with the best possible quality, allowing you to start enjoying and sharing those many happy memories within a few short weeks. Check out https://www.scanmyphotos.com/ to get started on preserving your family’s history this holiday season. This entry was posted in Blog, Holidays, Photo Organization, Photography Tips by ScanMyPhotos.com. Bookmark the permalink.